Without a doubt ground beef is one of the staples of American cuisine. And it is also something that many meat substitutes are trying to recreate. This means that you can now go to most supermarkets and get a meatless ground beef product off the shelf. 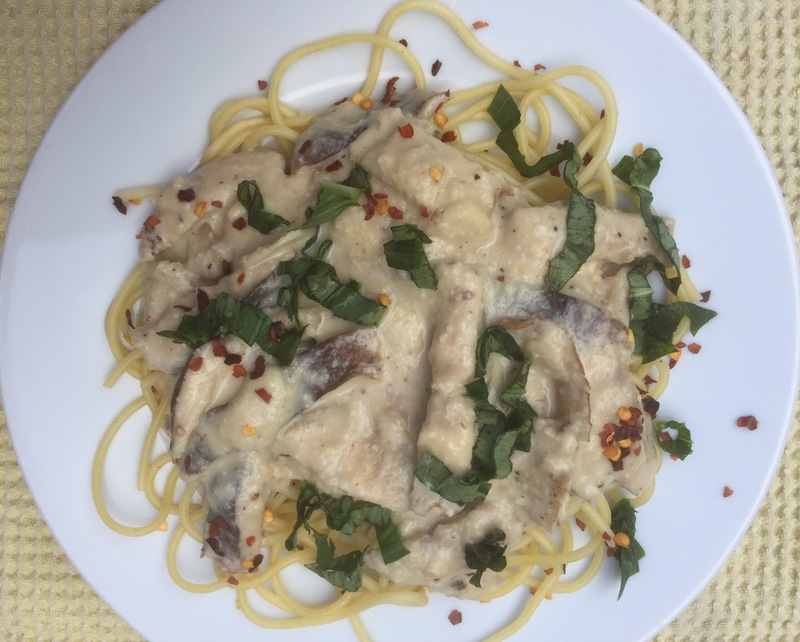 Some are tried are really good, like the Trader Joe’s one or the Beyond Burger, but it’s the price tag that is a bit troublesome plus I am a bit of a control freak and like to know exactly what goes on my plate. So, I have been making my own meatless beef. 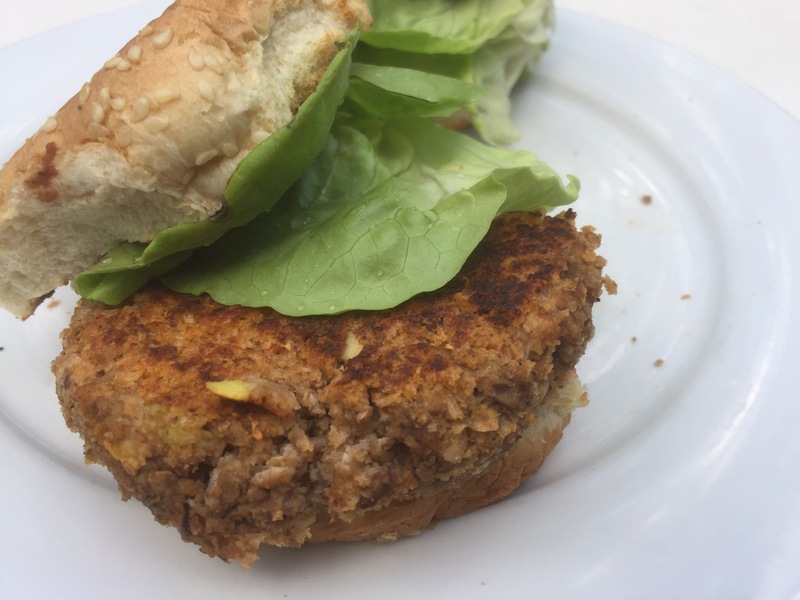 I’ve been fairly happy with my burger experiment, and I’ve been also happy with a tofu based ground beef substitute that was created by Glow Kitchen. That ground beef substitute was very influential in my early days of vegan cooking that I recently included it in my list of 5 Must-Try Recipes for Beginner Vegans. 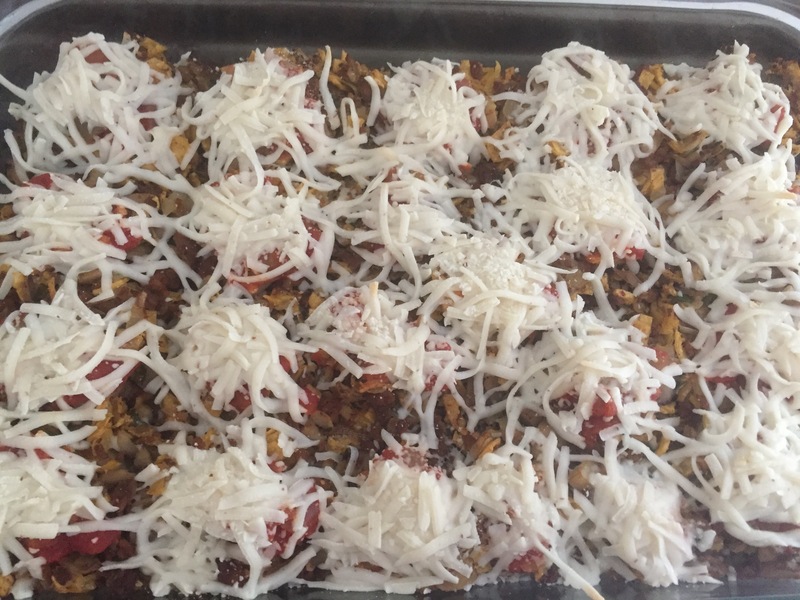 It worked really well in applications like stuffed peppers but I wanted to explore ground mushroom and TVP (textured vegetable protein) based versions. 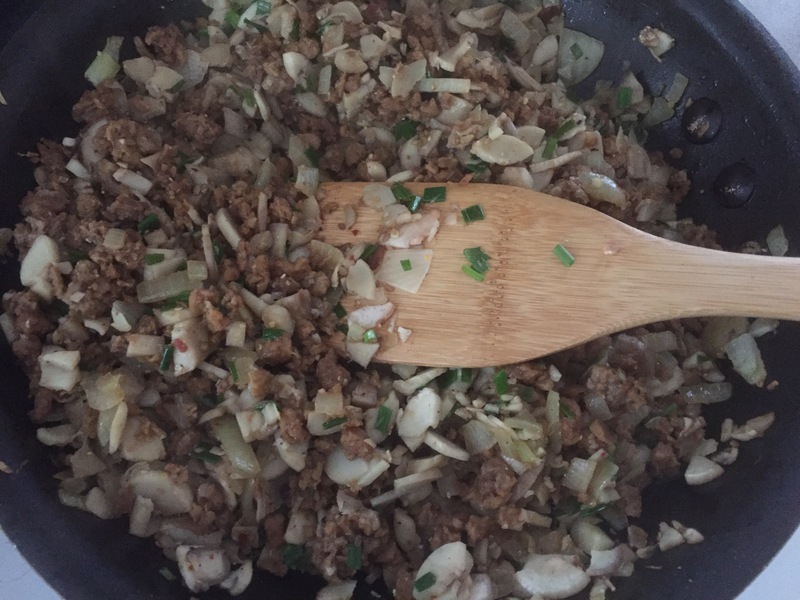 I had such an amazing result when I used ground mushrooms, in combination with lentils, as a filling for Shepherd’s Pie, that I just have to figure out a way to fold them into a ground beef substitute. As a general rule, if you want to recreate a meat dish without using any meat, stick with spices, texture and consistency that evokes the appearance that you are aiming for. Grounding mushrooms was definitely a breakthrough for me, as well as using TVP without pre-soaking! Plus, adding spices like cumin and paprika, as well as coconut aminos or a dash of soy sauce brings out that meat-like flavor. My final touch is just a little bit of tomato paste, for color as well as flavor. When all the components are in, and well mixed, I let the mixture just rest for at least an hour. Thus helps flavors merge and combine and TVP soften. At the end, what you have after all this mixing, grinding and resting is a mix that looks very much like ground beef yet tastes so much better and richer. You can use the mix to stuff your peppers, in a sauce like Bolognese, or sautée as us and use in tacos, on pizza, or for any other purpose you can think of. You can definitely make meatballs out of it, or even hamburgers. 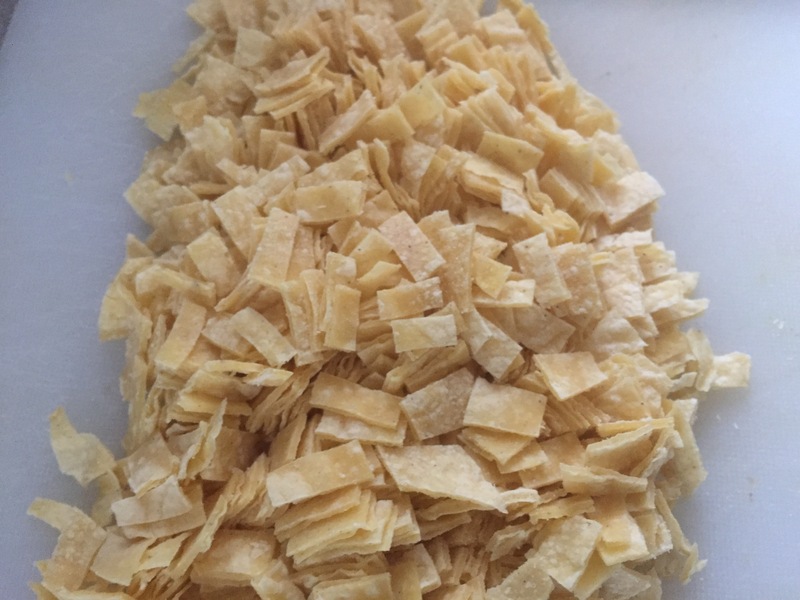 This homemade ground beef substitute is versatile and very budget friendly so you can definitely afford to make batch after batch especially if you get your TVP from jet.com, the cheapest source of this ingredient I could find. Wipe the mushrooms with a paper towel to remove any bits of dirt. Put in the food processor and grind to a fine grind. Pour out into a large mixing bowl. Add the rest of the ingredients, except cooking spay, mix well and let the mixture rest for at least 1 hour. Once the mix has rested it is ready to use. 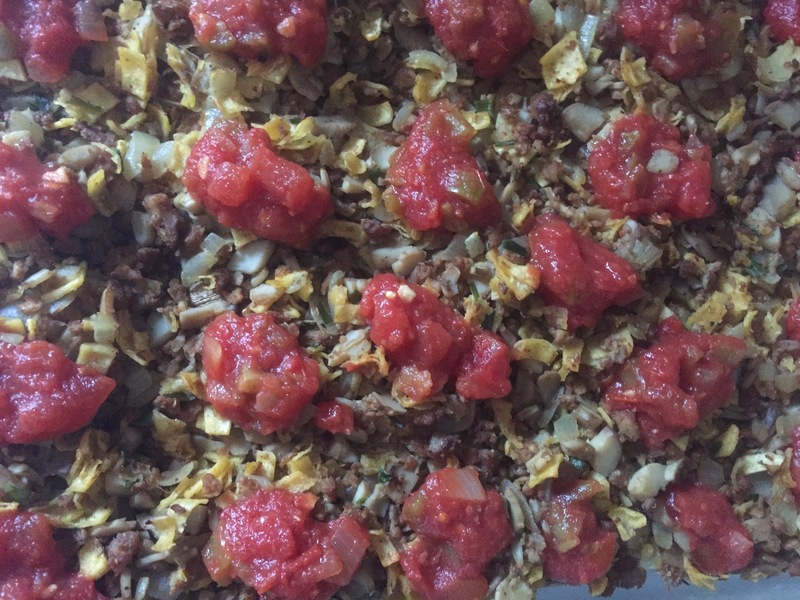 The mix browns well and makes for a great taco filling or nacho topping. It can also be used to stuff peppers and to make hamburgers or meatless meatballs, in which case you don’t to brown the mix but ma need to form patties and leave them in the fridge to firm up before cooking.